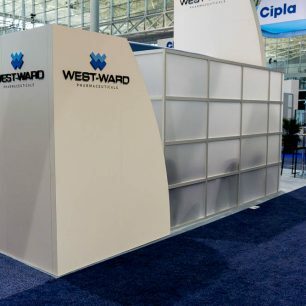 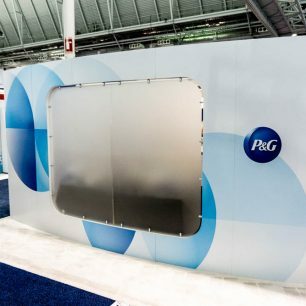 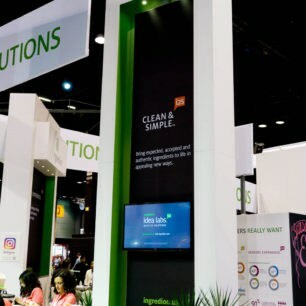 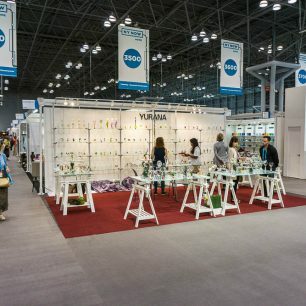 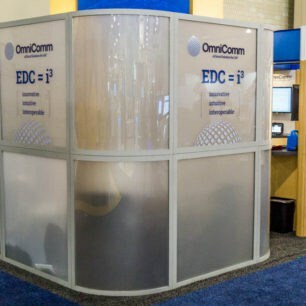 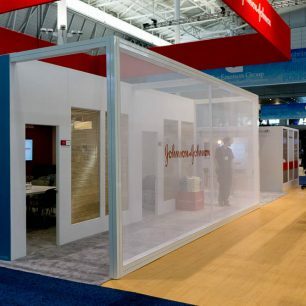 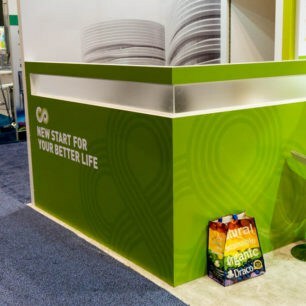 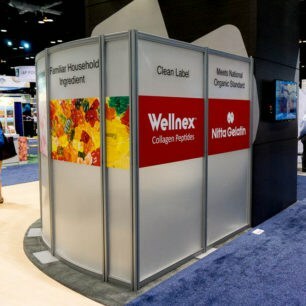 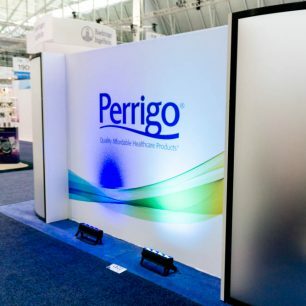 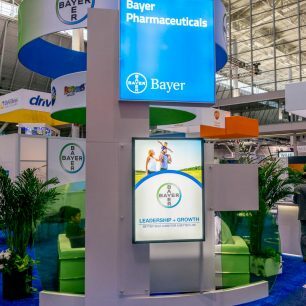 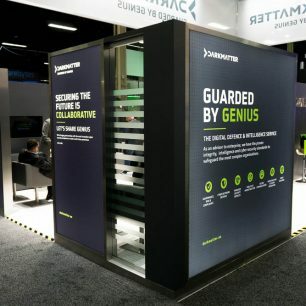 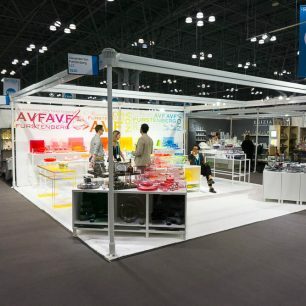 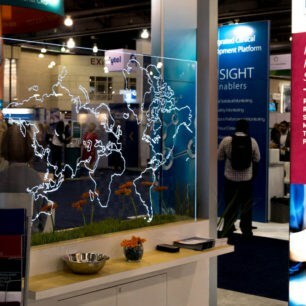 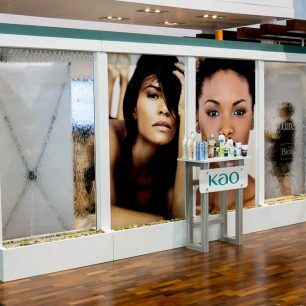 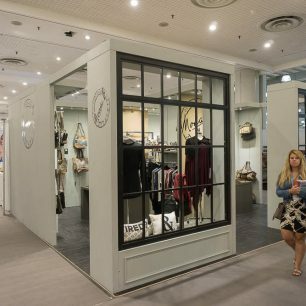 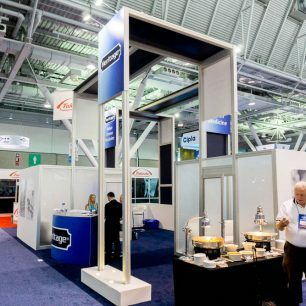 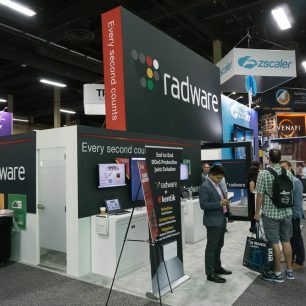 Designing your trade show booth with a glass backdrop adds a unique feature that is not seen very often in the industry. 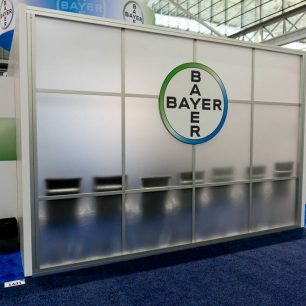 The walls of your exhibit can be constructed of a single, or multiple glass panels. 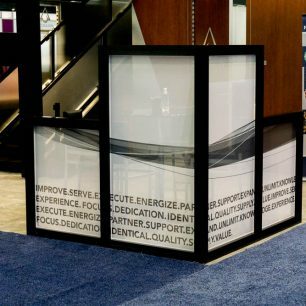 Using a combination of both translucent, transparent, or opaque glass is also a great option. 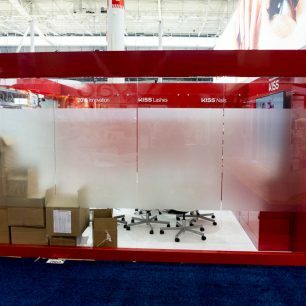 Although glass walls and backdrops are heavy and often times expensive, they will look great when your entire display is complete. 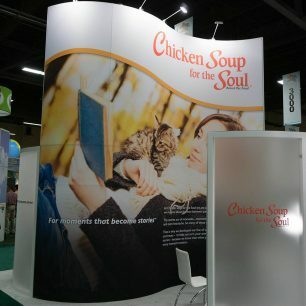 Scroll through some of the examples of booths featuring glass backdrops below, and be sure to check out all the other options such as: backlit, panel, curved, fabric, and curtain backdrops.